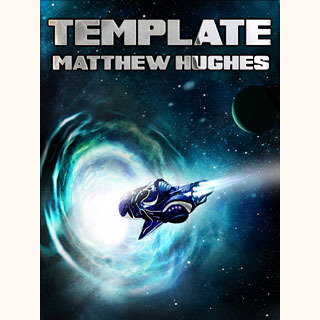 When professional duelist Conn Labro escapes indentured servitude as the star player of Horder's Emporium, he abandons the gaming world of Thrais and sets out on an interstellar journey filled with murder, deceit, and self-discovery. His only friend on Thrais, discovered dead and tortured, left him enough money to buy himself out of his contract and a curious encrypted "bearer deed" to a mysterious property on the distant edge of the galactic Spray. With the seductive, secretive showgirl Jenore Mordene at his side and a villainous pleasure cult dogging his every move, Labro sets out to learn the truth behind his bearer deed and more about his own past than he had ever dared bargain for. You can read an excerpt from Template here.